To create your own menu, you must take into account many parameters of the products. For most people, food with a low glycemic index is preferred. Knowledge of GI and GL of food and following a low-glycemic diet is also useful in combating obesity and reducing the risk of developing diabetes, ischemic heart disease, and age-related macular degeneration. Today we are talking about what are the best glycemic index applications on the market. 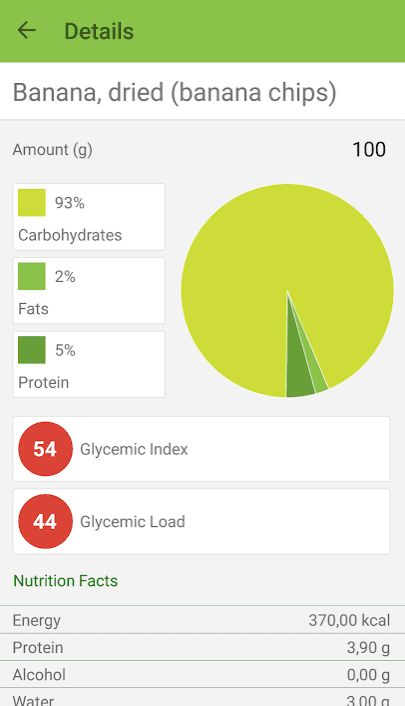 Glycemic Index, Load Net Carbs is a useful application that allows you to view, search and show the values of the glycemic index and the glycemic load for various foods, in a convenient form. Note: this application cannot replace professional medical care. Only your doctor can diagnose and treat a medical problem. For specific medical advice, diagnosis, and treatment, you should consult your doctor. Glycemic load and carbohydrates – Additional data, a glycemic load and carbohydrates calculator per dish. Food Diary and Statistics – Consumption Diary with statistics and beautiful graphs. 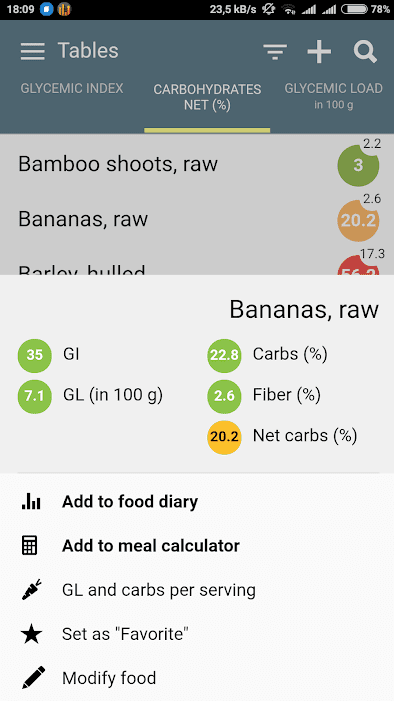 A food diary to keep track of your food, glycemic index, and carbohydrate intake. Statistics with average values for daily, weekly, monthly and annual periods. Cloud Import / Export for backups and synchronization with other devices. Beautiful graphs of GL and carbohydrate consumption. 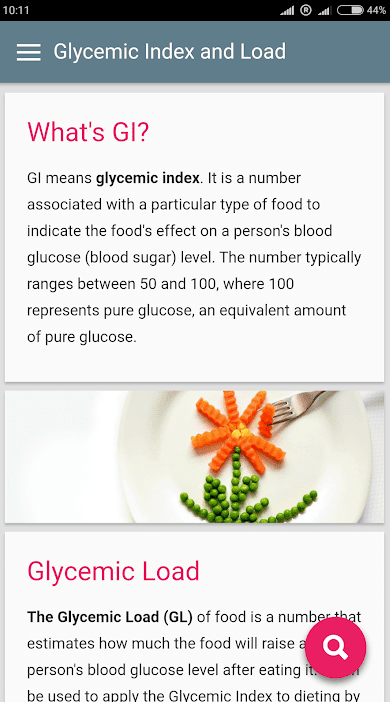 This application is a handy guide to food with an indication of their glycemic index (GI). Consuming low GI foods makes it easier to manage sugar levels in diabetes, and also reduces the risk of other chronic diseases. Glyx shows nutrition information for about one thousand foods. 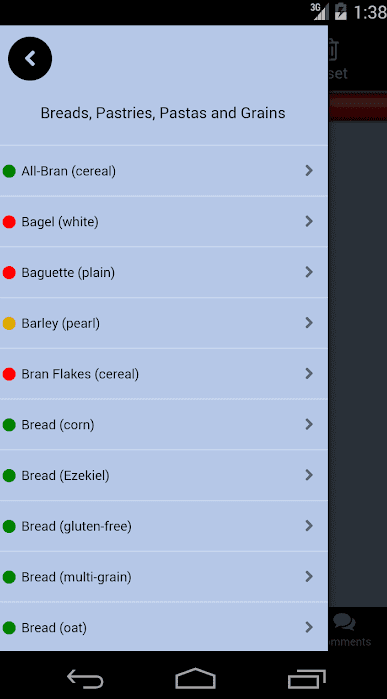 You can view the glycemic index of a certain food in the summaries as well as on the detailed page for each food type. Watching the glycemic index, you can eat more properly. 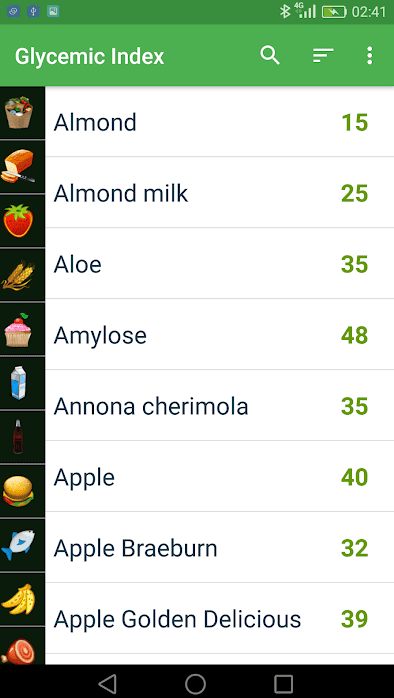 On the summary page of the product, you can also see other nutritional values such as energy, protein, alcohol, water, glycemic load. The products are divided into several categories to facilitate the search. 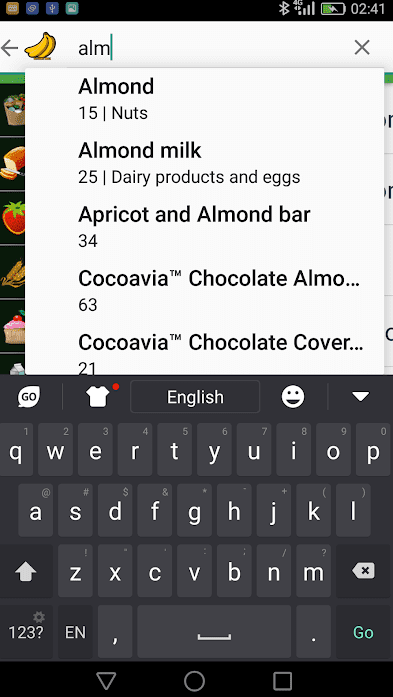 The search function works either for all foods or within each category. This is an unusual application with its own approach to follow a low-glycal diet. It is calculated from a formula developed by Dr. Jeffrey S. Dunham, M.D., Ph.D., M.P.H., medical director of BioFit Medical Group and is based on the latest medical research. The program contains data on almost all major foods. Following the glycemic index, you can eat more correctly. If you have problems with excess weight, then you should simply eliminate foods marked in red, and your figure will become slim. So, here, you can choose products for your meal according to their colors. 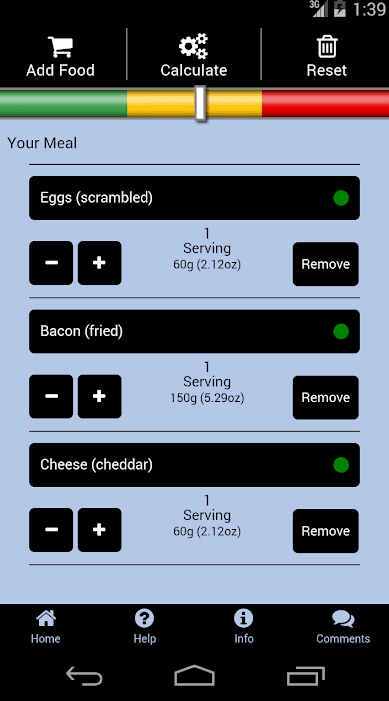 When you choose several products for your meal the app will automatically calculate the total number and shows you the result (green, yellow, red). The color changes depending on how you combine products and when you have a meal. The Low-Glycal Diet™ by BioFit will make fat loss almost effortless. This application contains very useful information that will allow you to get in shape for the beach season. 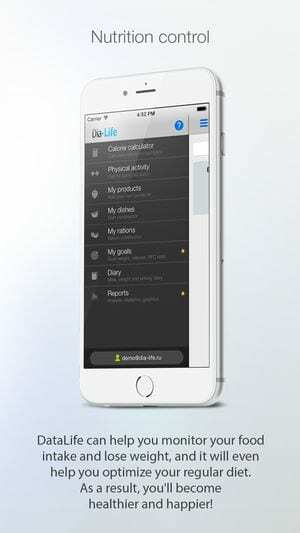 DiaLife is the very tool that will help us track the state of our body. After installing the application it becomes clear: it’s much easier to keep track of any indicators using the application than, for example, to write data in a notebook or in some illegible table. 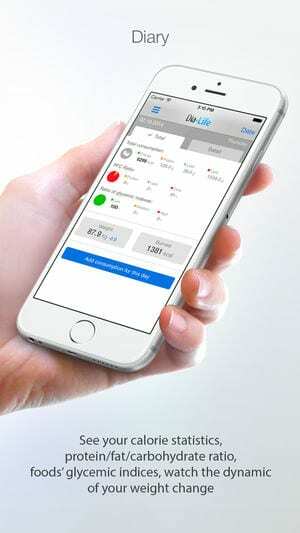 DiaLife is an example of a modern tool that allows you to monitor your health. There are five sections in DiaLife, located in a conveniently appearing side menu. The design of the application deserves special attention. In order to make ourselves look beautiful, DiaLife seems to give us an example with the help of its appearance, which is nice. Let’s consider the section “Calculator”. As it’s not difficult to guess, in this section you will have to count something, or to be more precise, count calories. The calculator is very simple. In the special line, you need to enter the name of the product (more precisely, the first letters, as the application will immediately offer you possible choices). From the list, you need to select the product that you eat, indicating the approximate portion. The calculator immediately calculates the amount of energy, protein, lipid, carbohydrates and its glycemic index. Having specified everything that you ate, you will be able to get a complete picture of how much and what substances you “gave” to your body today. Thus, DiaLife can be called the diary of a healthy person. For most people, in most cases, food with a low glycemic index is preferable. Slow absorption of food and the gradual rise and fall of blood sugar levels with a low glycemic index helps people with diabetes to control sugar. The only exceptions are athletes for whom food with a high glycemic index may be useful during and after the competition – it helps to quickly recover strength for the next competition. So, Glycemic Index of Products displays the list of products and their glycemic index and will be helpful in both cases. This application is very easy to use. All the necessary products will be always at hand. 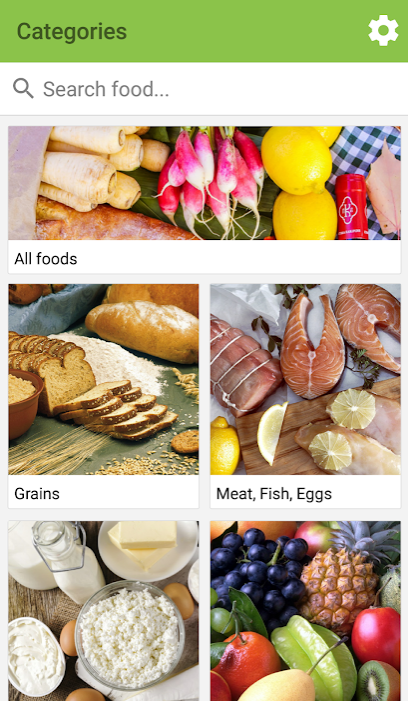 After downloading the app, you will also have access to delicious recipes from users. Pleasant and intuitive interface pleases the eye. The product database is updated frequently. And if you haven’t found the desired product, then either it will appear in the near future, or you can request it.